Have you heard about the recent flooding in Ireland? It is devastating; in County Cork alone 18,000 families have been displaced. According to Environment Minister John Gormley, this is the worst flooding the island has seen in 800 years and many people are in need of aid. We can help in our own sewing/quilty way (and for those of you who don't sew or quilt, don't worry you can help too)! Irish Quilting Magazine is looking for donations of 13 1/2" disappearing nine blocks, quilts, and group charity quilts. The blocks will be made into quilts by Irish Quilting Magazine and their friends, and all finished quilts will be donated to families in need. Now isn't that a nice thing? If you do not sew or quilt, or do not think that you have the time during this busy season to do so, the magazine is also accepting donations of batting and backing for use in the quilts they will be putting together. Rachel of P.S. 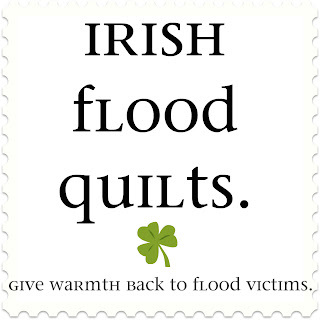 I Quilt has also graciously offered to ship over to Ireland so that those in the States don't have to pay the international shipping (don't worry I'm sure she'll accept blocks and quilts from other countries as well to ship). 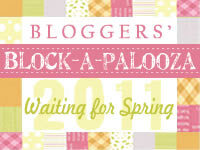 Head on over to Rachel's blog - she posted the links to the disappearing nine patch tutorial, and other quilt tutorials. 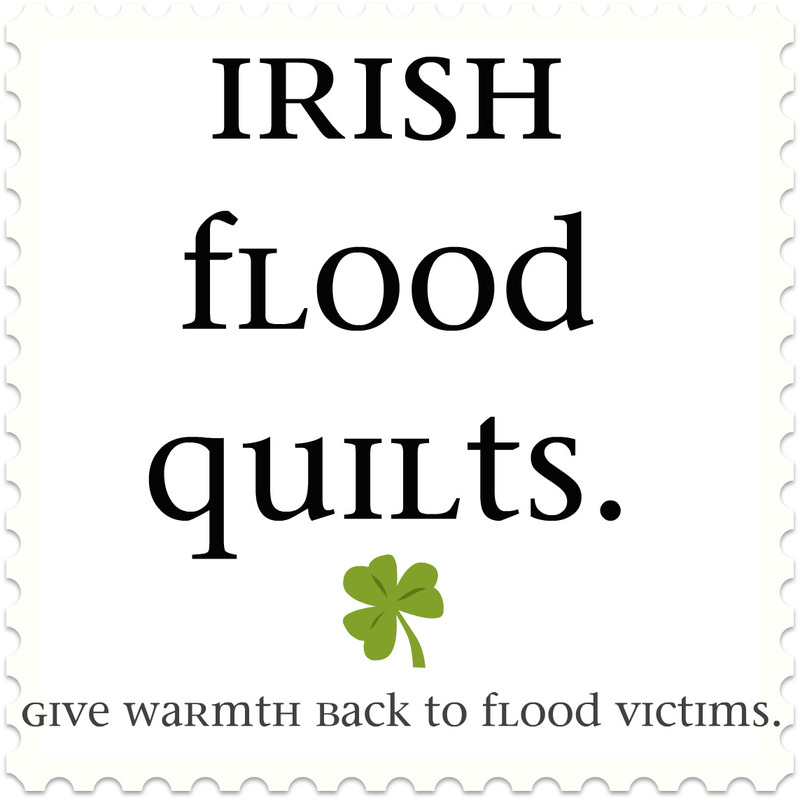 Also, please check out Irish Quilting Magazine's Flood Quilts and Blocks page for more info on what they're looking for and their address if you want to send anything to them directly. They also have links for tutorials that fit what they need. I am going to donate a few blocks to the cause. It really makes me happy to know that I can help bring a little warmth back into the lives of others. I think that it's important at all times of the year to help out in any small way I can, but it really gets me to know that some of these families will not be able to celebrate the holiday season in their own homes. I hope my small effort will put a smile on someone's face. My grandfather was from County Claire (?) and my Dad used to have a cousin in County Cork. Thanks for posting this great project for a cause Kaye. I'd like to contribute and I'll look into the links. Share what you come up with - love your projects. Oh, thank you!!! I love causes that need my Bernina skills! I'm on it! And P.S... this is a pat on your back for all your library learning! Hi Kaye! Thank you for the information, I'm happy to help! 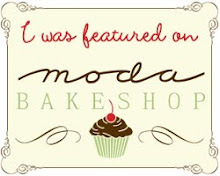 I'm heading over to Rachel's blog! Sew Mama Sew Giveaway Day Winner!